Fun Kids Activity With FREE PRINTABLE included! 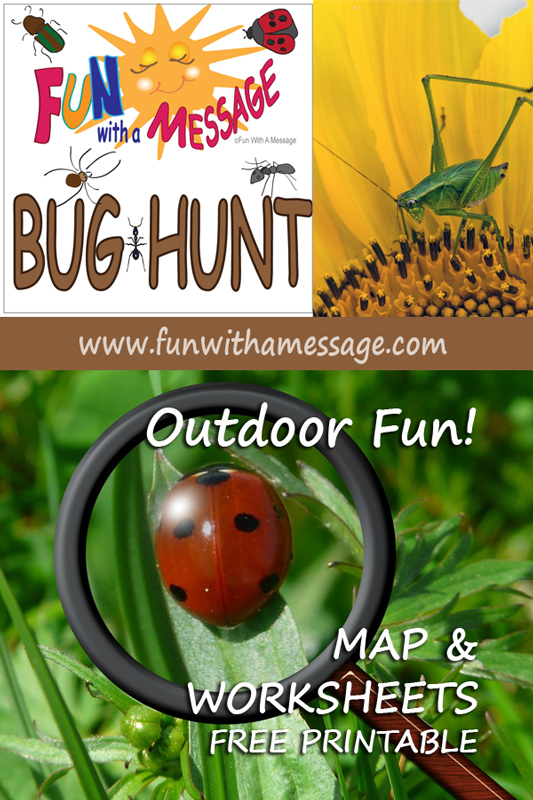 Have fun with the kids on a Bug Hunt! Now that we are starting to enjoy the beautiful weather there is nothing better than getting outdoor and exploring with the kiddos. Outdoor exploration not only keeps them entertain for hours, they learn so much! 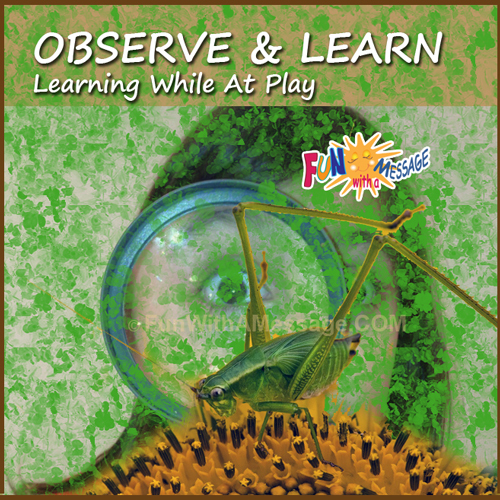 It expands their observation skills and even gives them a chance to practice drawing and writing. This week we went on a Bug Hunt right in our own backyard but you can go to a park nearby or if you are fortunate enough to live by the woods that would be the perfect setting to find lots of critters! I have to admit bugs are not my favorite but I had no idea how much fun kids have looking for bugs, finding them and chasing them to get a better look! The printable worksheet allowed us to practice writing, drawing and even numbers. My little one decided to keep tabs on how many bugs of each kind she found. At the end we add it all up and found out the most abundant bugs around our home were ants and flies (yuck!). Observation: On your own backyard or at a park kids have to look around for themselves and try to find each bug Listed on the map and worksheets. Little ones can look based on the picture provided while older kids can read the names printed. Drawing: practice drawing the bug and its habitat. When back at home, the kids can color their drawings. Counting: as my little one did, keep tabs on how many of each bug they find. For each bug we found we drew the environment (aka the place) where we found them: a rock, a leave, grass, etc. We talked about why each bug would prefer a certain habitat and related it to what each bug eats and how they protect themselves. We had so much fun and discovered so much that it was tough going back inside. Hope you and your kiddos enjoy it as much! See below how to download the free printable. 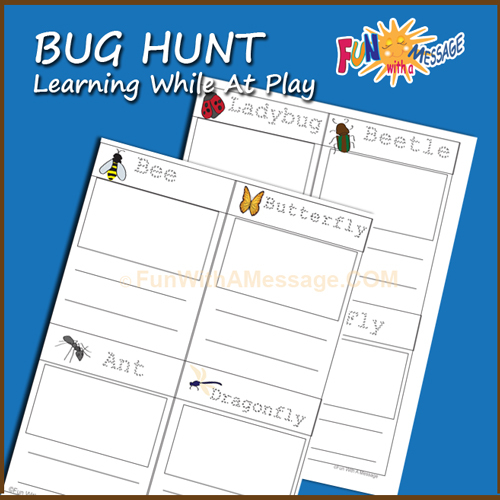 A bug hunt map, worksheets to draw, write and trace and a blank sheet for more fun! Don’t miss out on this FREE printable that will help you enjoy this beautiful weather having fun outdoor with the kids. 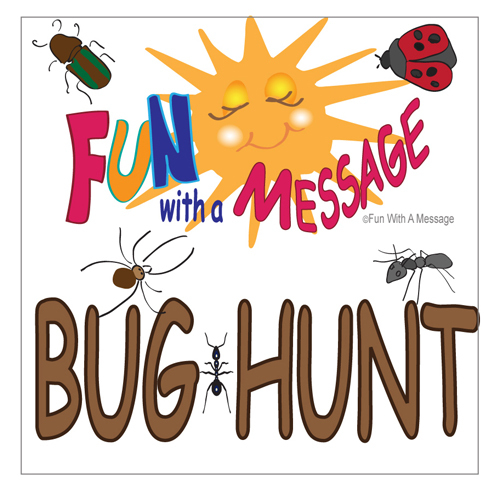 After you confirm your subscription, the Fun With A Message BUG HUNT Pack link will be delivered via email. Please make sure to add Fun With A Message to your email contacts. If you don’t see it in your inbox, check the spam and junk folder. 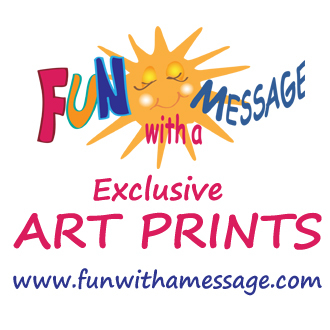 To subscribe simply type your email on to the Subscribe Box above entitled: JOIN FUN WITH A MESSAGE. Wow, I’m reading this while having a snowstorm. Looking forward to being able to actually see bugs (don’t remind me that I said this). Thanks for this free printable and great activity! As always, thanks for linking up at the #homeschoollinkup! This is a great resource that has me super excited for Spring and my growing toddler! As a past elementary teacher whom is now staying home, I get really giddy when I realize that I will be able to do these fun things with my kids one day soon. I am so glad you linked up at #meetupmonday last week; I can’t wait to follow you more! Thanks! I’m so glad you all find the Bug Hunt Guide useful My little one had a blast! It is a super fun activity to do with toddlers. What a great resource – I do love a good printable – and this is really lovely…and a great way to keep kinds entertained on those trips outdoors as well. Thanks so much for linking up to the parenting pin it party. Great idea. We love bug hunts both in the garden and when out and about. 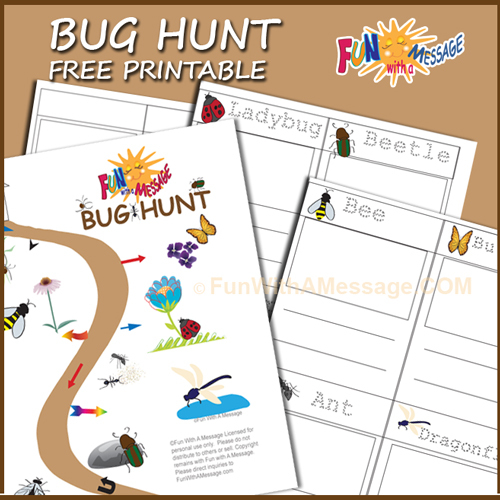 Thanks for linking up at the Fabulously Frugal link party!I can’t wait to try this bug hunt with my kids. Pinning for later. This is an awesome activity! Kids love to explore bugs. Thanks for sharing at the #HomeMattersParty – we hope to see you again next week. What a fun activity. Thanks for linking up to the Bloggers Brags Pinterest Party. I have pinned to the Bloggers Brags Broad. I also pinned to my homeschooling broad. This is a great activity to do with young kids! Love the printables. I can’t wait until it’s warm enough to do it (I’m looking out the window at 6 inches of snow right now). 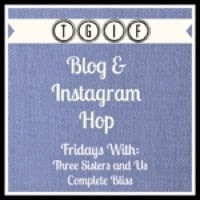 Thank you for sharing this and for linking it up at the This Is How We Roll Thursday party. Thanks for stopping by My daughter had a blast going on the bug hunt! My babies will love this! Thank you so much for sharing. I am not sure who will love this more, my daughters or my sons. I can hardly wait until spring arrives so we can try these out! Great article. My kids love bugs. We haven’t tried tasking them with research about bugs though and they would love that. Especially with the microscope our oldest got for Christmas. How cute is this?? I take my kids hiking quite a bit in the summer, and it would be so fun to take these printables along to keep track of what they find. Oh, I love this! I can’t wait until my daughter is old enough to do these kinds of activities. With spring almost here, this one would be perfect…Thanks for sharing! Pinning this one! Such a neat idea! Can’t wait for warmer weather to gather the neighborhood kiddos and have a bug hunt play date! Thank you so much for sharing! What a fun activity when the weather starts to get nice again. I know for sure my almost-6-year old would be all over this, and my 11-year-old might enjoy it too (depends on the day with that one, gotta love tweens!). Totally downloading, and thank you for sharing! Such a cute idea! Can’t wait to try it out with my little one! What cute printables- I know my kids would have a blast with these! Pinning so I can print them out as soon as the weather warms up! This is so fun! Thank you for sharing on #MommyMeetupMondays. Thank you for the fun downloads, I can’t wait to use them with my kids. I found you on the Meet Up Monday Linky Party. Thank you for sharing this awesome Post. Thanks for this activity. I’m always looking for fun things to do outside & my son loves bugs!